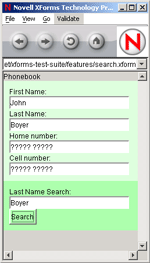 This is the XForms 1.0 Implementation Report. 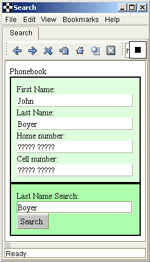 It has been created by the XForms Working Group during the Candidate Recommendation phase. 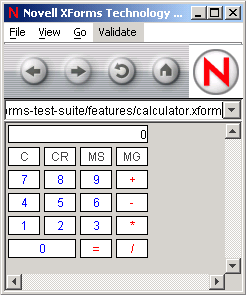 It is based on the original XForms 1.0 public Test Suite. 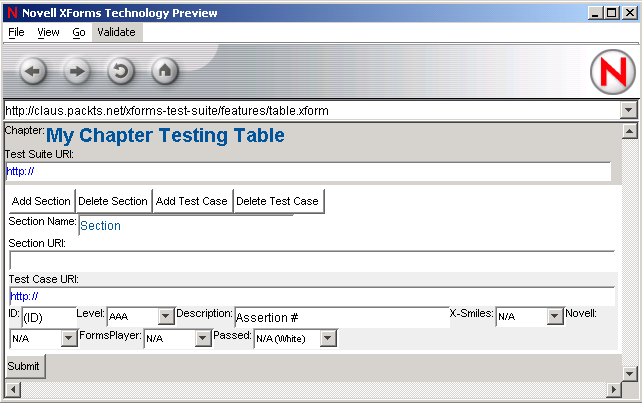 The most recent Test Suite can be found here. 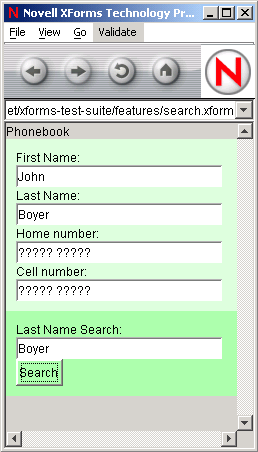 These results document the interoperability of multiple implementations of the features of XForms 1.0. 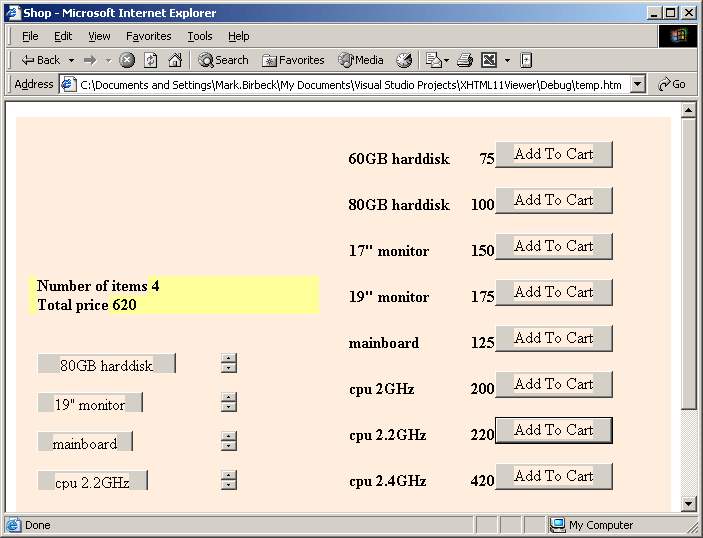 Results as of July 8th, 2003. 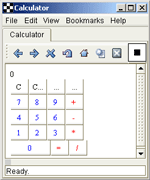 X-Smiles, an open source Java-based XML browser from Helsinki University of Technology. 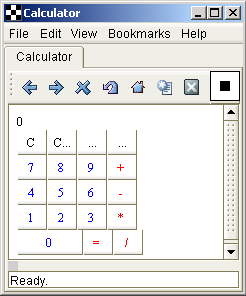 FormsPlayer, an XForms processor plug-in for Internet Explorer 6 SP 1. 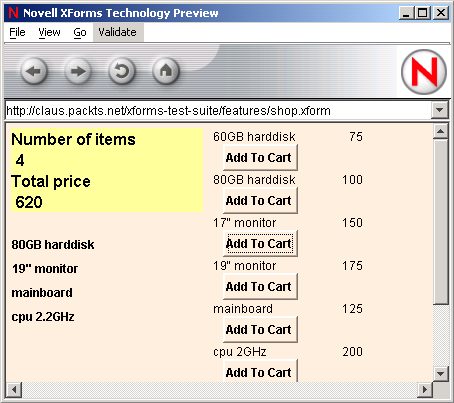 Novell's XForms, a Java Application. 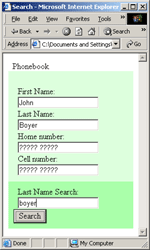 Implementers consisted of both large and small international corporations. 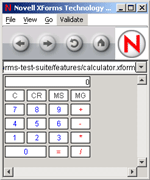 All required features in the XForms 1.0 specification have been implemented separately at least twice. 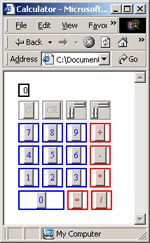 There are two fully conforming XForms Full processors (X-Smiles and FormsPlayer). 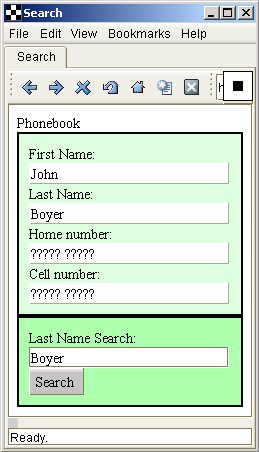 The data presented here is intended solely to be used as proof of XForms 1.0 implementability. It is only a snapshot of the actual implementation behaviors at one moment of time, this data is not intended to be used for assessing or grading the performance of any individual implementation. 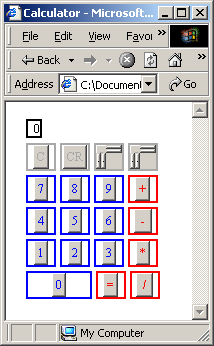 This implementation table only uses the MUST tests for determining a pass. 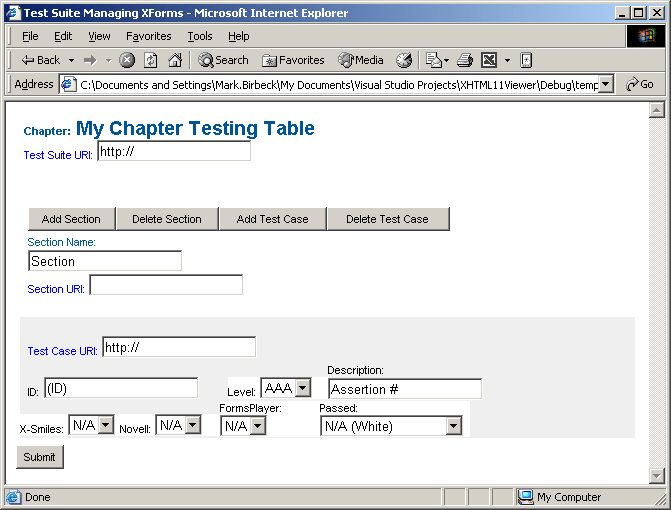 MUST, SHOULD and MAY tests uses the QA document notation; A/AA/AAA levels. 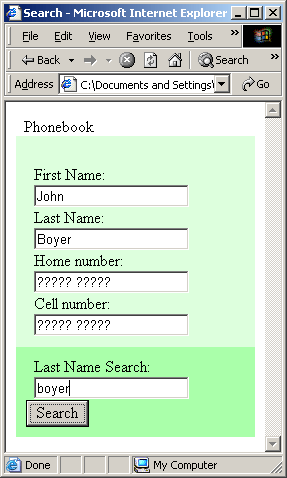 The XForms Basic Profile which appeared in the CR version is removed from this table as it did not meet the Candidate Recommendation exit criteria. It is still in progress and will be published as a separate document, and will be issued as a separate specification. 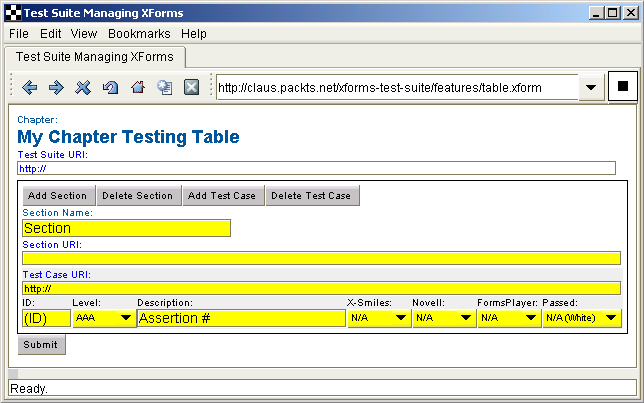 The latest XForms 1.0 Test Suite is available here.